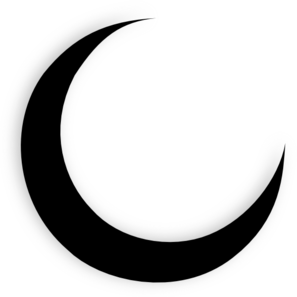 A sickle moon looks down on us like a rictus grin. We wade through the marsh, torches held high. A treacle-thick fog covers the ground, obscuring our legs to the knee. To the superstitious and unaware, we would have appeared a frightful sight, legless spectres floating through the dark of night. Bats flit across our line of sight, hunting the insects attracted by our torches. The night was alive with sounds. Chirps, creaks and croaks accompany the slosh of our boots through the water. Our destination is nearly in sight, the green of the swamp vanished; here everything is covered in dark lichen. The mud stinks and turns stickier, clinging to us, holding us back. Dead trees with skeletal limbs stretch towards the heavens, Spanish moss hangs from the branches like torn and tattered clothes. Dark knots in wood grain stare like empty eye sockets. A plangent wind buffets our frames as the dark recess of the cave looms into sight. The flicker of the torch light causes the mouth of the cave to grow and move, like a giant creature’s maw, waiting to consume all who enter. The background noise of the marsh drifts in and out. Hollow trunks reverberate the wind, throwing sound around like a susurration of lost souls. The fog has lifted and a stench permeates the air. A melancholy descends upon me. It’s as if this part of the land itself has decayed. Thin, sickly white tendrils, squelch up from the mud with each step. Bloodsucking worms, looking to feed. A sound echoes from the depths of the dark mouth. It’s my wife’s laughter. I enter the cave and the rest follow. She is crouched with her back towards us. Her dress ripped and dirty, her hair matted and stained with filth. Her head jerks at the sound of my voice. We met at the solstice festival when I was sixteen. She was tall for a girl, twirling around with her sister, both laughing, blonde curls flying, as they looked straight at me with those soft blue eyes. Cornflower when she laughed, cobalt when serious, but always a glitter of mischief hidden in their depths. I recoil at the sight of her face. Dark sockets, weeping puss and blood. Dark red grooves run down her cheekbones and across her forehead. The tips of her fingers have been chewed off, exposing the bone. The blood around her mouth and the gristle between her teeth point to it being self-inflicted. I pull both my flintlocks. I should have listened to her on the first night. She woke sobbing that something had stood over the bed, peering down at her. Stroking her face, whispering in her ear. I dismissed it as a bad dream. But each night at the same time she would wake up sneezing and crying. “It’s only bad dreams,” I would say and pull her close. The last night, before she ran off, I was awake. She sat bolt upright and sneezed, violently. With each sneeze her eyes changed colour—onyx, sulphur, crimson—as the demons revealed themselves. Our parish priest said it was the soul’s natural defense when attacked by demonic forces. The violent and sudden reaction of sneezing to reject the foreign body. People say “bless you” after a sneeze to add celestial power to the expulsion. I never said “bless you.” Not once. It was all my fault. My companions move closer and draw their swords. She screeches and moves deeper into the cave. We follow as she scrambles away on all fours. Cornered at back of the cave, she cowers like a frightened child. “Do it now,” Hugo says. My hands shake as I raise both weapons. She springs up and scrambles across the wall, sticking her finger bones into the crevices for purchase. They are too delicate to hold her weight. As her finger bones snap like kindling, there are two screams. One hers, the other mine. I turn and discharge both my weapons. My companions stagger and drop their torches. Hugo dies immediately and James crawls a few feet before he stops moving. The torches gutter and slowly die on the damp floor. Complete darkness envelopes us. I sit down and wrap my arms around my knees. I could never hurt her. She is moving around, scurrying like a spider. Finally, it grows quiet. Just the drip of water accompanied my sobs. I feel something on my neck. The lightest of touches, a breath. It moves across my face and to my ear. It gives me the chills, and I sneeze.